Giles St Aubyn LVO was elected as a Fellow of the Royal Society of Literature in 1964. Giles St Aubyn was born in 1925, and was educated at Wellington College and Trinity College, Oxford. He was for a short time in the Navy during the Second World War. He subsequently taught at Eton, becoming head of the History Department in 1961. His books include Lord Macaulay, The Art of Argument, A Victorian Eminence: the life and works of Henry Thomas Buckle, The Royal George: the life of HRH Prince George, Duke of Cambridge, 1819-1904, A World to Win andInfamous Victorians. Giles Rowan St Aubyn was the fifth child of the future third Lord St Levan. He was educated at Wellington, but the school’s military connections exerted no discernible influence upon him, apart, possibly, from influencing his choice of the Victorian Duke of Cambridge, Commander-in-Chief of the British Army, as a subject for a biographical study. After a brief period in the wartime Navy, Giles completed his education at Trinity College, Oxford, and then joined the academic staff at Eton in 1947. 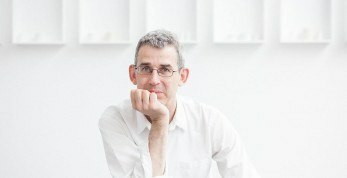 It is tempting for his obituarist to concentrate on Giles’s royal connections – he was a friend of the Queen Mother and tutor to Prince William of Gloucester – and to retail anecdotes from his 38-year career as a teacher at Eton which tend to portray him as that type beloved of former pupils, the eccentric schoolmaster. These anecdotes, however well founded, are liable to obscure the dedicated professionalism of his approach both to his work at Eton and to his writing. During the third of the year when Etonians were on holiday, Giles devoted his efforts to writing. His career as a writer spanned around 60 years: his first book, on Lord Macaulay, came out in 1952; his last, on the conflicts of science and religion in the nineteenth century, was published in 2009. His preparation for his books was meticulous. He assembled a vast array of sources and read through them with great care, creating a card index featuring all relevant topics as he read. He adopted a highly disciplined lifestyle. He usually set himself up in a country retreat – in Wales, later in Worcestershire, and after 1985 on Guernsey. He employed staff to take care of his domestic needs and friends might be invited to provide company. Friends, however (and his dogs), were strictly for the afternoons. The mornings were for work on his current book and woe betide anyone who interrupted him before the hour appointed for lunch. Sometimes he might return to his desk after his afternoon walk, but he usually went to bed early in order to be fresh for work the next day. His self-discipline did not on its own make Giles a successful writer. His lucid and sometimes witty prose and his psychologically penetrating insight into such historical figures as Queen Victoria and Edward vii brought him critical acclaim and led to his election as a Fellow of the RSL, of which he was a generous supporter. His favourite historical territory was the period 1815–1914, within which he spread his net widely to include writers, thinkers and murderers as well as royal personages. For one of his books Giles ventured into the medieval period: in 1983 he dealt with the controversies surrounding Richard iii in his The Year of the Three Kings (1483), which won praise for its detached presentation of the issues. He also produced The Art of Argument, which, according to a review of 2012, ‘stands the test of time’, as many of his other writings also seem likely to do. Before his retirement in 1985 Giles had been a hard-working and successful schoolmaster. A confirmed bachelor, he is said to have been ill-at-ease with the mothers of boys in his house, but he possessed an acute understanding of the boys themselves, which enabled him to maintain control over them without forfeiting their affection. As a teacher of history, he was always in full command of the topics which he taught and able to arouse his pupils’ interest, though modern educationalists might have considered his style overly didactic. Despite his competence, he was diffident about his teaching and was pleased to have retired before the modern regime of regular inspection and appraisal came in. For a decade Giles was in charge of the Eton history department. He was not a micro-manager, but believed in appointing as teachers the best men he could find and leaving it up to them how they taught the syllabus. Yet his antennae were acute. Informal consultations with tutors and house masters gave him an accurate picture of how the members of his department were faring and he was able fairly to distribute praise and cautions. He ran a harmonious and successful department and won the respect of other heads of academic departments. In his final years at Eton he was chairman of the school committee in charge of the curriculum. In 1985 Giles retired to Guernsey. He died on 10 July last year. 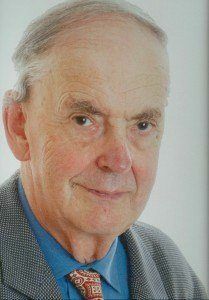 David Evans taught history at Eton from 1965 to 1985. He has recently completed a book on William Johnson (later Cory).